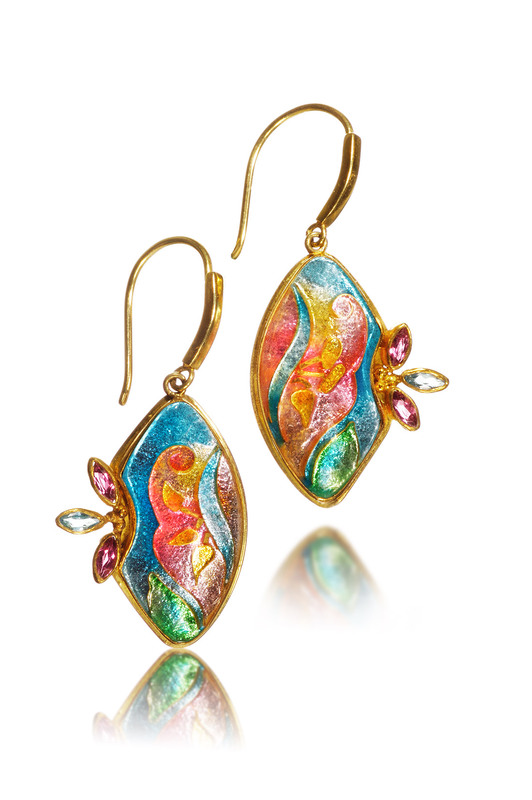 Lilium is a cloisonne jewelry piece created by Patsy Croft. It belongs to Spring collections of amazing enamel jewelry with unique jewelry designs. Who does not think about flowers in the Spring? When the birds start chirping and the flowers start to bud, so do I with excitement to create, beautiful jewels. And together we can create cloisonne jewelry just for you. Some artist like to live in their own creations. By this, I mean only their ideas and feel like if they open up to others input, a customer, on designing, that someone is telling them what to do. Now that is not the case here! I would love to help you bring your Spring budding ideas to life. Come and tell me what would make you sparkle this season? A piece of Cloisonne Jewelry? a unique jewelry design, of your ideas? Cloisonne, Champleve, Plique a Jour, are all my specialties in the enameling world, but my main specialty is custom jewels.